Thank you for visiting the Ladies Auxiliary Webpage. We are a group of Ladies that raise suport and money for the Fire department and those who proudly serve our comunity in so many ways. 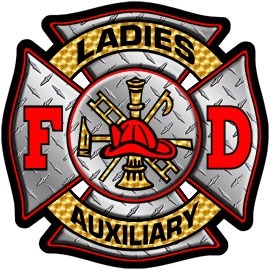 We, Ladies Auxiliary, do many things to try and help such as prepare food and drinks for the Firefighters and work with the Red Cross to help provide for familys in there time of need. We also do many fund raisers through out the year. such as fish fries, Bake Sales, Quarter Auctions and much more!